True wireless earbuds are showing up everywhere, and for this coming year, we’re expecting to see an increase in the amount of true wireless earbuds that will be available on the market. 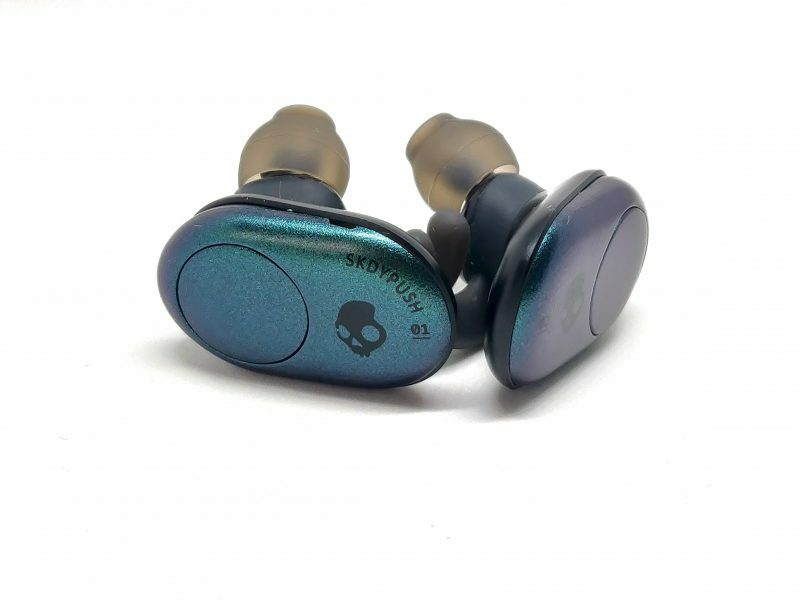 Skullcandy has been producing headphones for the last fifteen years that have been mostly aimed at the younger generation. 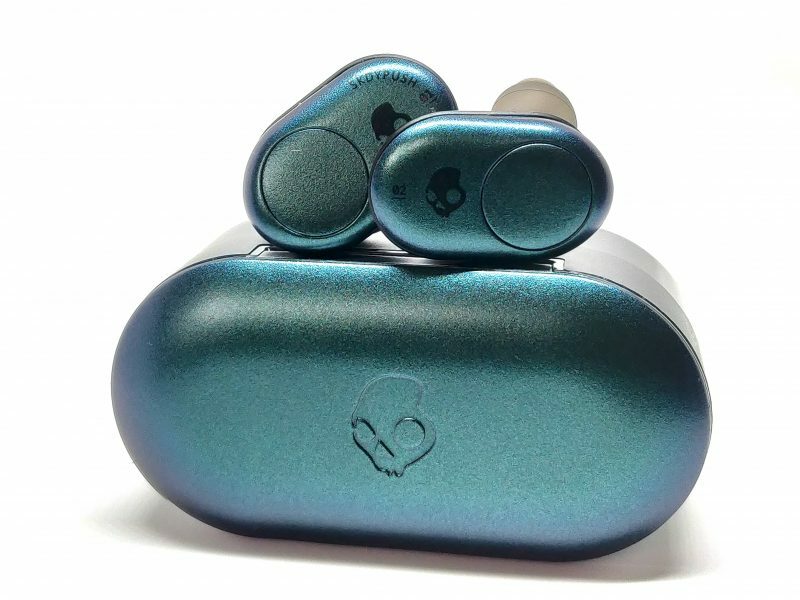 Recently the headphone company has released its first ever true wireless earbuds called “Push.” But can this first for Skullcandy make an impression on a market that’s quickly growing? The Skullcandy Push leaves the conventional circular design that most true wireless earbuds have and opts for a more oval-shaped form factor. On the inside of the earbuds, you’ll notice that it carries a contoured design to help form itself to your ear. The ear tip sits nicely in your ear canal with added Fitfin gels that will provide a secure fit. The rest of the earbud will be sitting just outside, rarely placing any pressure against your ear. I was able to wear these headphones for a few hours without experiencing any discomfort. On the outside of each earbud is a large single button that controls every aspect of the earbuds. So there’s no need to be fumbling around, trying to locate which button does what. Controls are easy to understand since a single push on either side will pause or play your music. Double tap on the right button will increase volume, while a double tap on the left will decrease the volume. A triple tap on either side will activate your smartphones assistant. You’ll get your silicone ear tips that come in a variety of sizes, and just above them are the contact points that will help charge the earbuds once they’re placed in its carrying case. 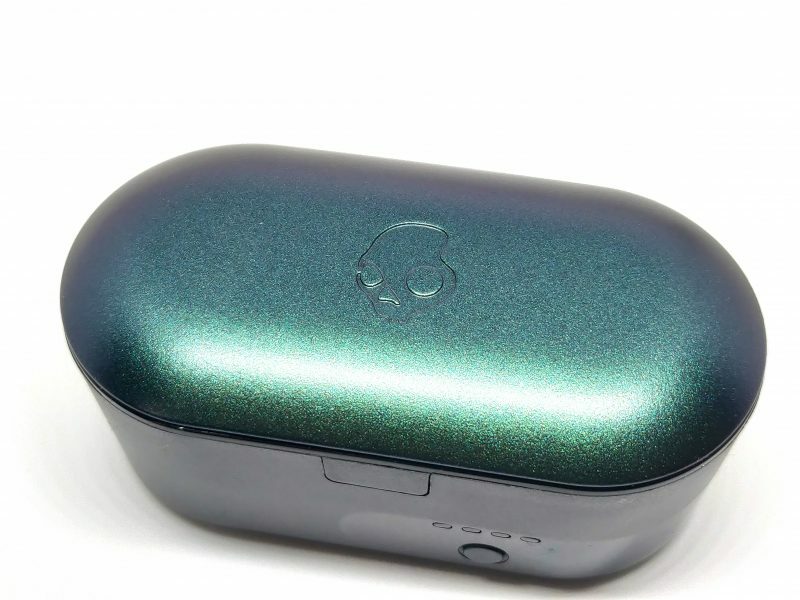 The design of the Push is rounded out with an attractive colorway that Skullcandy calls Psychotropical Teal. A color, that when viewed from different angles, will result in either a purplish or teal hue. The included carrying case has the same oval shape as the earbuds, and at times reminded me of a giant pill. It’s small enough to carry in one hand, but can be uncomfortable if you place it inside your jacket or pants pocket. The lid of the case has the same Psychotropical teal color which is accented by the matte black body. And of course, you’ll find the Skullcandy logo placed at the top of the case. Placing the earbuds inside the case is easy enough, even in the dark as the magnets inside will make sure the earbuds snap into place for charging. On the outside, there’s a USB-C port that is used to charge up the case and four blue LED lights that will indicate how much power is left on the case itself. The last two headphones I reviewed from Skullcandy had impressive audio quality, and that same quality has been carried over to the Push. The earbuds are built with a driver unit that measures 9.2mm. Though it’s not as big as the 10mm driver that I’ve seen in other earbuds, the Push can still deliver quality bass which results in Skullcandy tuning the lower frequencies to sound more robust. While listening to a song such as “Tubes” by Moon Hooch, the Push does a wonderful job of giving the mids, highs, and lows its own identity. You can hear the sharpness in the mids and highs from the tenor saxophone, all while getting a subtle rhythmic bass from the bass saxophone. The great thing about it was that neither one overpowered the other. To hear what range the Push had, I listened to the orchestral work of Ramin Djawadi, most notably his music from the Westworld soundtrack. You were able to really hear the different instruments that were used in the main theme song as they came in balanced and clear. I did notice that at high volumes you will begin to get distortion in the highs and mids. It’s noticeable but not ear-shattering unpleasant. 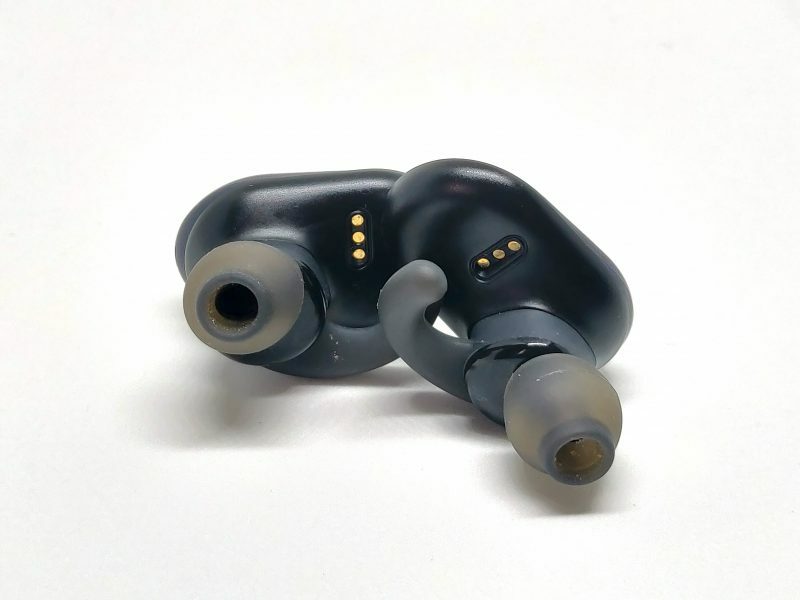 The earbuds use Bluetooth 4.2, which does provide you with a 30m range and a clear connection. The Push does not have support for aptX, so you won’t be getting any HD streams. With Bluetooth 4.2, watching videos came in with no delays or latency, so the Push is perfect for watching any streaming services such as Netflix, Hulu, and YouTube. I was able to get almost six hours of listening time on the earbuds itself, and the charging case will also give you another six hours or so. It does not support quick charge. But I found that in just a few hours, the charging case would be fully charged up. When it comes to the connection, the earbuds will automatically connect to your devices the moment they are taken out, that is if you didn’t end up turning them off. It was simple and seamless for me just to place the earbuds back in the case after I was done using them, as they would automatically go into a rest mode once they were placed back in the charging case. I’ve been using the Push for the last few weeks now, and I can say that I haven’t even thought about using the other true wireless earbuds that I have. The sound quality is great with a well-tuned balance between the highs, mids and lows. Though you do get some distortion when the volume is at its highest setting, that isn’t much of a concern as I need to rarely set my volume that high. Preferably I would have liked to see a smaller design than the oval shape, but the psychotropic teal color does add that “wow” factor when using them. Support for aptX or AAC would have been good too, but Bluetooth 4.2 is powerful enough to provide a clear music stream with no latency or drop-offs.